Jen Aasvestad is a Showbie Champion and ICT Coordinator at Markikollen Skole at Kongsvinger Kommune in Norway. Follow her on twitter at @JAasvestad! While learning a second language it can be scary for students to speak up in class to answer questions, read out loud or even just say one word. Showbie is a way that I am able to hear all of my students read and speak in a second language. 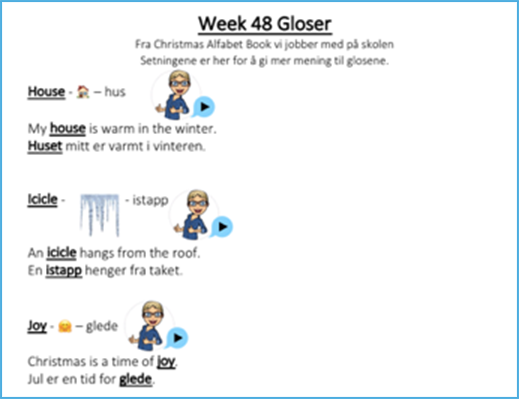 By giving my students homework on Showbie, they are able to hear how I pronounce words and texts and then are able use the voice note and record themselves reading a text. We are even able to have “conversations” together when I prerecord questions for them. They listen to my question and answer back while they are at home. When students are able to practice a language in a safe environment with one on one feedback, they soon gain the confidence to speak up and read out loud in class. 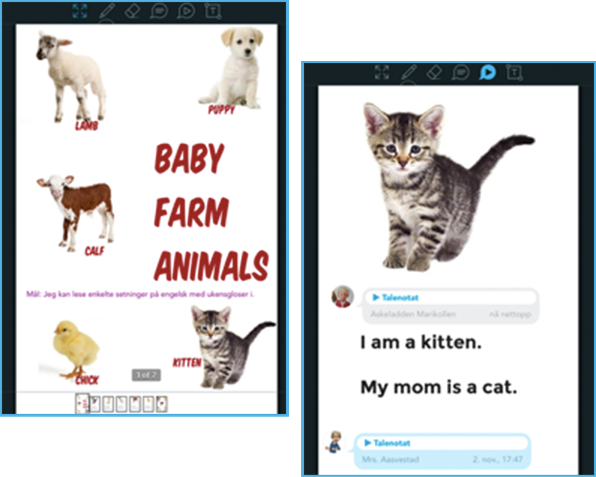 By combining voice notes, pictures and text, students are able to get a complete language picture. When students do their English homework at home they have a new confidence, students I would rarely or never hear in the classroom finally have a voice and it is AMAZING to correct their homework and hear the students that I rarely hear in the classroom. I can hardly wait to correct their homework when we have verbal assignments! I can then report back to parents with confidence that their student masters English, they are just shy in the classroom. When I give my students such assignments I either upload a PDF to Showbie and record a voice note or I make a book in the BookCreator app, upload it to Showbie and record a voice note. This way my students can concentrate on the verbal assignment instead of using time to upload and download. “Pre Showbie”, I would have to find the time to take each student out of the classroom to hear each student for each chapter to make sure they understood what the chapter was about and to hear if they can speak the language. Showbie saves time, I am able to give my students personal feedback and all my students experience a level of mastery.